From taking the whole family from ages 4 and up out top-rope climbing in very kid friendly areas to traditional multi-pitch routes with private clients I love to rock climb. All kit gear (without climbing shoes) are included. My courses are near of Kraków (good accomodationa and very close to Airport Balice) or in Sokoliki (granite rocks ~100 km from Wrocław. If you want a private guide for Rock Climbing then you are in a good place. 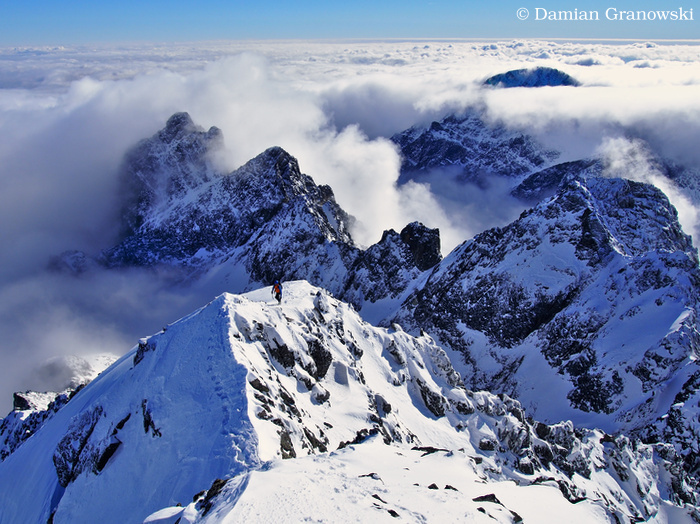 I will take you to the best polish climbing location that suits your climbing experience. It does not matter if you are a complete beginner, I will always find you the perfect level of difficulty to suit you and make sure you finish totally satisfied. I will ask you about your experience, skills, and goals for the day and choose routes most appropriate for your interests and ability. Our goal is to provide a safe and enjoyable day out on the rock. This activity is available as a half or full day. These prices do not include transport so if you have your own transport you can meet us at the location, or we can usually offer transport on request. Your Cost Includes: All climbing gear (without shoes) and professional climbing guide(s). Prices: €125 – €225 per day depends on group size, content, activity, country and length of the booking. 80€ for half of day for one person. When searching for improvement it’s easy to focus on increasing strength and fitness and hope good technique will somehow develop at the same time. Climbing movement/technique is very important to being able to climb well and progress through the grades. Moving efficiently when climbing will help more than doing any number of one arm pull ups! I will show you ways in which to position your body enabling you to climb with the minimum of effort. This knowledge is essential for the development of both boulderers and roped-climbers alike. 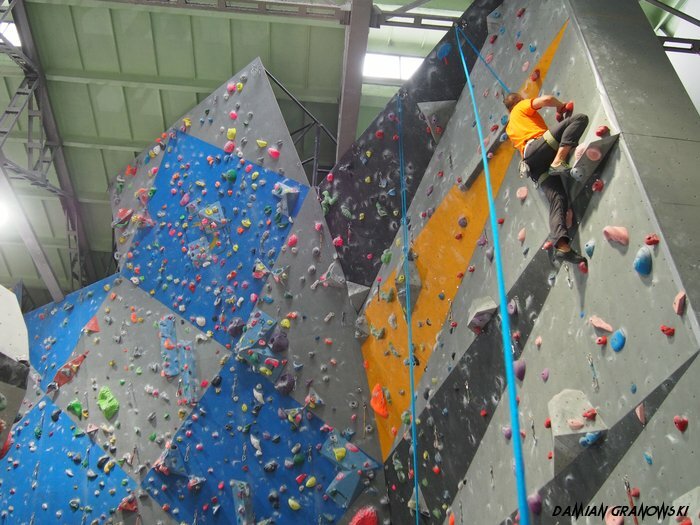 My climbing lessons are in Kraków on CWF indoor wall (at 17.45-19.45; 19.45-21.45 at tuesday and thursday). We (group 4-8 persons) climb two times in week (eight times in month). Regular trainings will improve your skills and you meet lot of great people. Prices (entrance to climbing wall not included): 30€ for one month (two lessons in week); 20€ for one month (one lesson in week); 5€ for just only one lessons. Individual lessons: 25€ for 1,5 hour (entrance to climbing wall not included). My introductory courses are for anyone who wants a fun and educational introduction to climbing. They are designed not only for people new to the sport, but also for those wishing to refresh old skills. This course cost 85€ or 70€ (students). Min 2 persons, max 4 persons. The next step after learning to lead indoors is to take your skills into the great outdoors. My sport multi-pitch course teaches you the essential skills to climb safely outdoors including rope management, setting up anchors and abseiling. My trad multi-pitch course teaches you the essential skills to climb safely outdoors including rope management, setting up anchors and abseiling. Prices: 130€ for two days. Winter walking is activity in which trekkers walk on mountain terrain in winter condition, using crampons and ice axes when necessary. They can encounter difficult condition and snow and icy ground but usually, they move along marked trails. Winter mountaineering is the type of advanced trekking in which mountaineers climb or scramble easy grade mountain terrain in winter condition, using crampons and ice axe and occasionally rope. They need to have very good level of navigation skills and avalanche awareness as terrain usually is challenging. If there is a glacier they need a special set of skills to move safely on this terrain. Winter climbing is a style of mountain climbing which combines and use trad and multi-pitch climbing skills in winter condition. 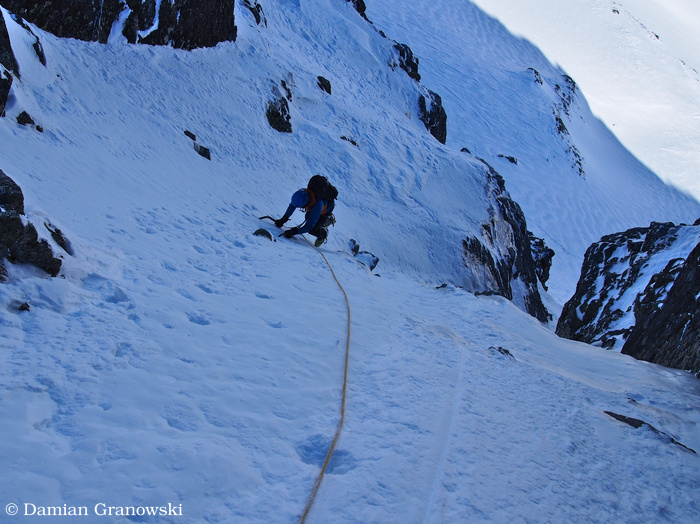 Climbers will encounter ice, snow, rocks and difficult conditions during ascent and they will need to place special protection, use crampons and ice axes to ascend the route.